The damage numbers are in for Hurricane Florence, and the results paint a grim picture. The top-end estimate of property damage related to Hurricane Florence came in at around US$45 billion, according to Moody’s Analytics. Ryan Sweet and Adam Kamins of Moody’s Analytics compared Florence to 2016’s Hurricane Matthew, noting that this year’s hurricane event brought floodwaters and strong gusts of winds to thousands of single-family homes within a huge disaster zone. “Many of the areas that experienced flooding in the aftermath of Hurricane Matthew are enduring similar tribulations this fall, but the footprint appears to be significantly broader following Florence, stretching about 200 miles west from the North Carolina coast and spanning 150 miles from north to south, extending into South Carolina,” they said. An analysis by CoreLogic pegged the maximum estimate of all flood losses related to Hurricane Florence at US$28.5 billion; this estimate considers flood damage from storm surge, rain and rising rivers. North Carolina is believed to have suffered the most flood losses, at US$22 billion. South Carolina follows with US$5.5 billion, and then Virginia with US$1 billion. Uninsured flood loss was considerable, at US$18.5 billion, CoreLogic also reported. In North Carolina alone, floods cost uninsured home owners and commercial property owners some US$14.5 billion. South Carolina and Virginia could see uninsured losses of up to US$3.5 billion and US$500 million, respectively. Many homes across America that continue to suffer from flood damage each year lie outside designated flood zones; one expert says this is because current flood maps are not accurately reflecting flood risk. CNN reported that the NFIP is expected to pay out US$5 billion in federal insured losses related to Hurricane Florence. 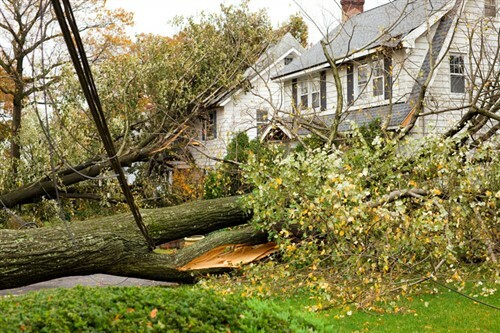 And although the hurricane was primarily a severe rain event, it still managed to cause US$1.5 billion in wind damage.